Arsenal will travel to Gander Green Lane to take on Sutton United in the fifth round of the FA Cup on Monday night. 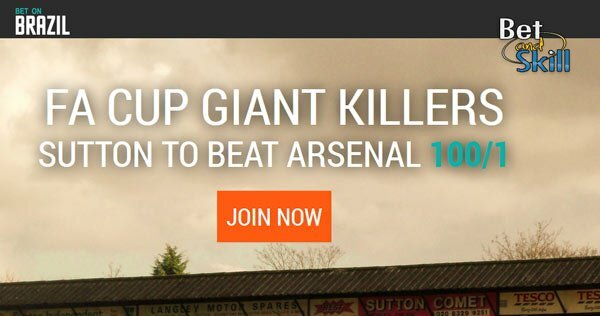 Don't miss our Sutton UTD v Arsenal betting preview with predictions, betting tips, probable line-ups, team news, enhanced odds, live streaming links, exclusive offers and no deposit bonuses! Sutton UTD have only lost one of their last 14 matches at home soil in all competitions but they currently sit in a lowly 17th place in the Conference National. They were beaten 2-1 at Guiseley in midweek to make it three defeats on the trot for them. They started their FA Cup campaign from the first round of the competition and took a big scalp by beating Leeds in the fourth round. Prior to that, Sutton United overcame Forest Green Rovers, Dartford, Cheltenham Town and AFC Wimbledon. Sutton United are expecting to have everyone fit for this huge clash. Craig Eastmond is free to play against his former club after completing his three-game ban in midweek. Jeffrey Monakana and Roarie Deacon are the other two former Arsenal's player who will start for the home side. The latter will lead the line alongside Maxime Biamou. 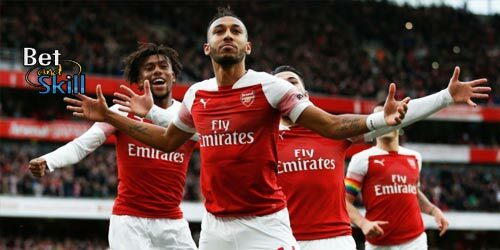 Arsenal enter this match on the back of a heavy 5-1 defeat at Bayern Munich in Champions League, a result that leaves the FA Cup as once again their only realistic prospect of silverware since they trail Chelsea by ten points in Premier League. The Gunners overcame a scare in round three of the FA Cup to oust Preston North End and then hammered 5-0 Southampton in round four. Arsene Wenger is expected to field a strong side here in order to avoid further embarassment. Granit Xhaka will return to the squad since his sending off against Burnley in January while Santi Cazorla and Aaron Ramsey are still sidelined. Laurent Koscielny is not expected to feature after coming off injured last time out. Up front, Olivier Giroud should lead the line with Alexis Sanchez likely to be rested and Danny Welbeck not 100% fit. Lucas Perez, Theo Walcott and Alex Iwobi are in line to start as offensive midfielders. Sutton United (4-4-2): Worner, Amankwaah, Downer, Collins, Spence; Gomis, Eastmond, Bailey, May; Deacon, Biamou. Arsenal (4-2-3-1): Ospina; Bellerin, Holding, Mustafi, Gibbs; Elneny, Xhaka; Walcott, Iwobi, Perez; Giroud. 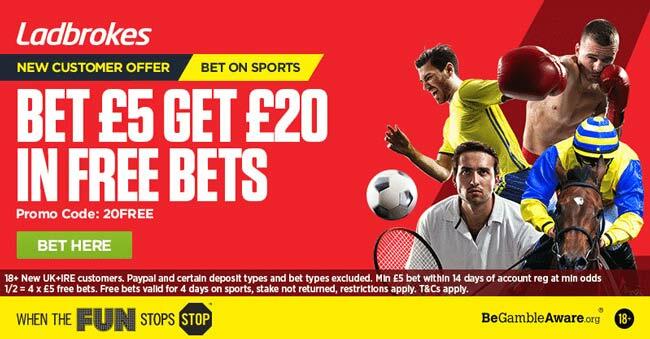 "Sutton UTD v Arsenal predictions, betting tips, lineups and free bets (FA Cup - 20.2.2017)"